Here at Shoot! We like to take a look at the players that will forever be remembered at their respective football clubs, the idols who fans have grown to adore over the years. Having already looked recently at Hull City’s Dean Windass and Aston Villa’s Lee Hendrie, we move to the south coast today, with our attention on Bournemouth. If it wasn’t for one man’s goal, the Cherries may not even be in existence; forget playing in the world’s greatest league. For every football club, there have been some good days; there have been some bad days. There have been days of minor significance; there have been days of major significance. Nothing though comes close to the 25th April 2009 for AFC Bournemouth fans, however. It was D-day. Defeat and the Cherries were relegated to the non-league; with the club in severe financial problems off the pitch, it would have- more than likely- seen the club cease. It was a day where experience was needed. A day where heroes were born. Step up, one Steve Fletcher. 11 minutes from time. The ball dropped in the six yard. Fletcher, 99 league goals to his name, slotted it home. Not a bad time to get your 100th league goal then, is it? For Cherries supporters, he is a real Club Hero. While Fletcher is remembered most for his performances on the south coast, his story actually began 335 miles north of the Vitality Stadium. Fletcher is a Hartlepool lad. And Victoria Park is where he started his career, making his debut in the professional game just weeks after England were heartbroken over the Germans at Italia 90; he only made 32 league appearances at the Monkey Hangers but is still remembered fondly, playing a part in Alan Murray’s men’s promotion in 1991. But the grandson of former England international Jack Howe, moved on in 1992. It was a slight contrast. From the cobbled streets of Hartlepool; to the sand and beaches of Bournemouth. It would be a chance for him to play on a consistent level; the Cherries and Pool played in the same division, but a move south provided an opportunity to play week-in, week-out. Life was never dull on the south coast. This was little old Bournemouth; hovering over the relegation zone year-in, year-out, every season was a challenge as they chased the chance to remain in the third tier of English football. And, as Bournemouth began to consistently secure their place in the old Division Two, Fletcher reached his peak, the highlight being the 1997-98 season where the forward netted on 12 occasions; Bournemouth, then managed by Mel Machin, finished 9th, just four points of the play-offs. But, come 2007 it was time for a fresh face at the club. 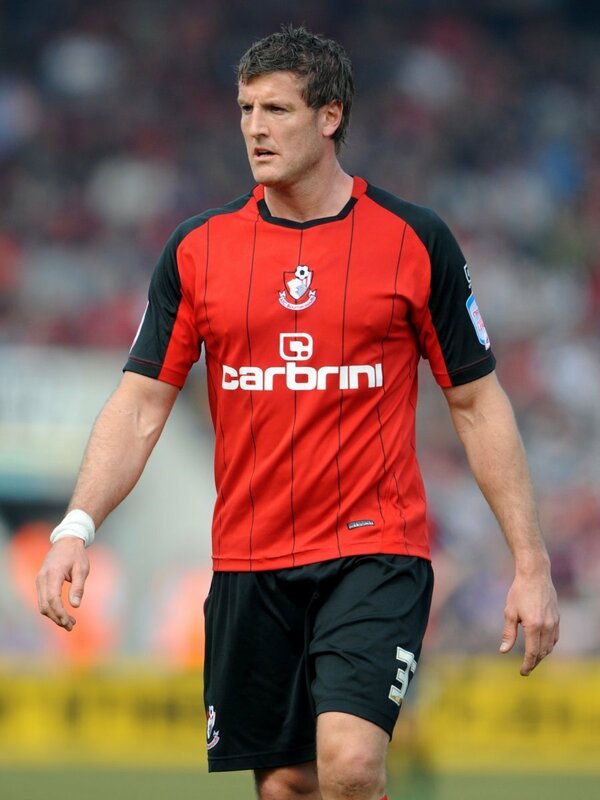 Despite making 41 appearances the year previously, Kevin Bond released the Cherries legend. Fletcher was forced to move on. He would move on to Chesterfield, who had just been relegated to League 2. He was sure to play a key part if the Derbyshire side were going to taste promotion to the third tier at the first time of asking. But it just didn’t go to plan. At the end of the 2007-08 season, after netting only five times for The Spitfires, he turned down a contract Saltergate due to family problems. It gave him the opportunity to move back down south; the disadvantage being that he would have to drop down a division. Fletcher signed for Crawley at the start of the 2008-09 season. It gave him the opportunity to play regular football again and he netted on two occasions during his spell with the West Sussex side. But, eight months later came an opportunity that he could not miss. Bournemouth lay on the horizon, yet again. It would be a struggle, though. Bournemouth looked doomed to non-league football. The club was in a mess; a poor league position, in financial ruins and had a young, inexperienced manager at the helm: he went by the name of Eddie Howe. Victory over Grimsby in late April of 2009 and they were safe; defeat and the club may not have even seen the following season. Forget people discussing pressure when it comes to promotion, this was pressure. Trailing 1-0 down and it felt like relegation was confirmed. At half-time, they were trailing. It was time for Eddie Howe to work his magic. It appeared that his words of wisdom were paying off. Liam Feeney snatched an equaliser just two minutes into the second half. But it still wouldn’t be enough. That was until the most memorable moment in the Cherries’ history. The moment where time appeared to stop. The ball fell to Fletcher six yards out. He had been in this position millions of times before. But nothing compared to this. He threw his foot at it. The net bulged. A Bournemouth hero was born. It was the biggest goal in Bournemouth’s history. 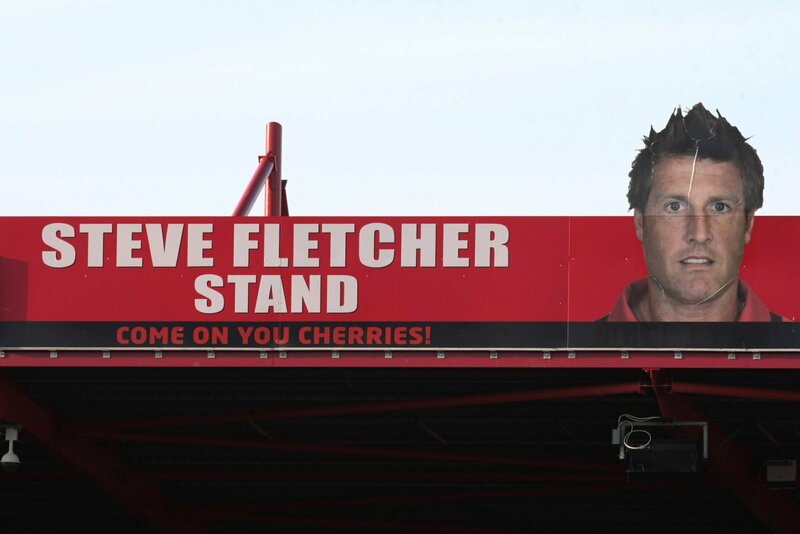 By April of 2010, Fletcher had a stand named after him at Dean Court. By March of 2014, he was awarded the Sir Tom Finney award at the Football League Awards for his achievements with the club. Following his retirement in 2013, he made the move into coaching. He was immediately snapped up by the south coast side when he was appointed scout. 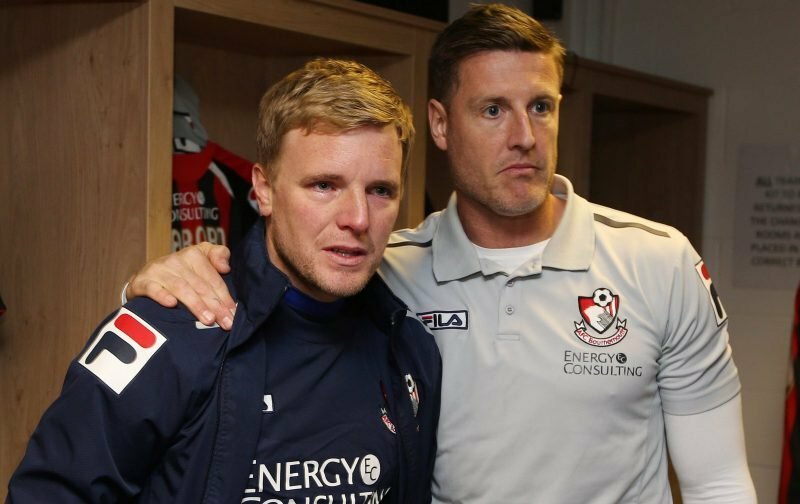 As the Cherries moved up the English footballing hierarchy, he did so through the Bournemouth hierarchy; he currently stands as assistant first team coach, working with Eddie Howe and Jason Tindall as the Cherries cement their position in the best league in the world. Quite a contrast to the muddy pitches of Victoria Park.